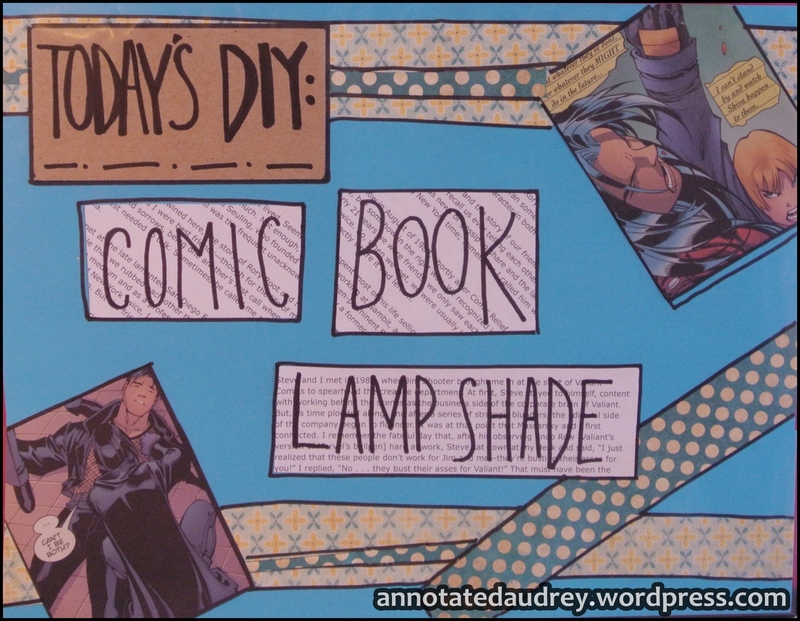 Here is a simple DIY tutorial on how to turn a boring old lamp into something super awesome. 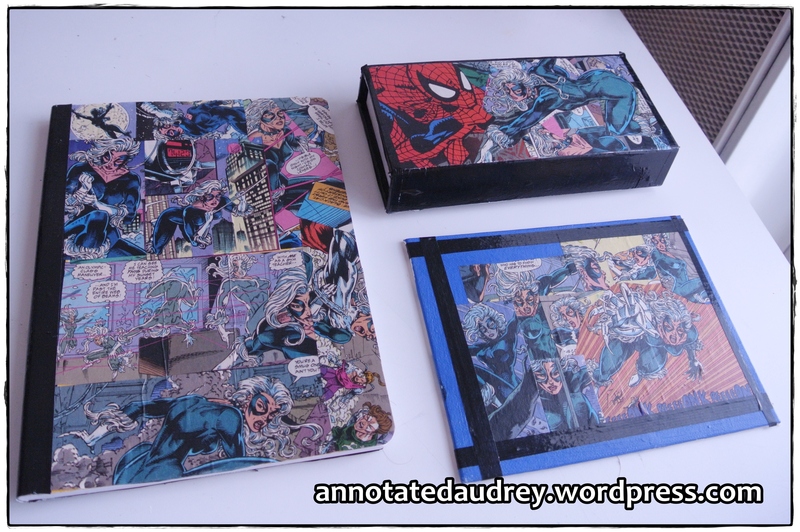 After that, I included some other comic book projects that were borne of my Mod Podge frenzy. 1. Cut up your comics. For this project, I cut out interesting images from my old Birds of Prey comics. I also cut up random strips and geometric shapes to fill the gaps in between images. 3. Once the entire thing is covered, coat it with a thick layer of Mod Podge. Let it dry and coat it again. You may want to do this several times until you are confident that the pages are stuck to the shade. I coated mine 4 times. Now as I said, I went into a sort of frenzy. I had tons of scraps left over and almost 3/4 of the bottle of Mod Podge left so… I made these things. 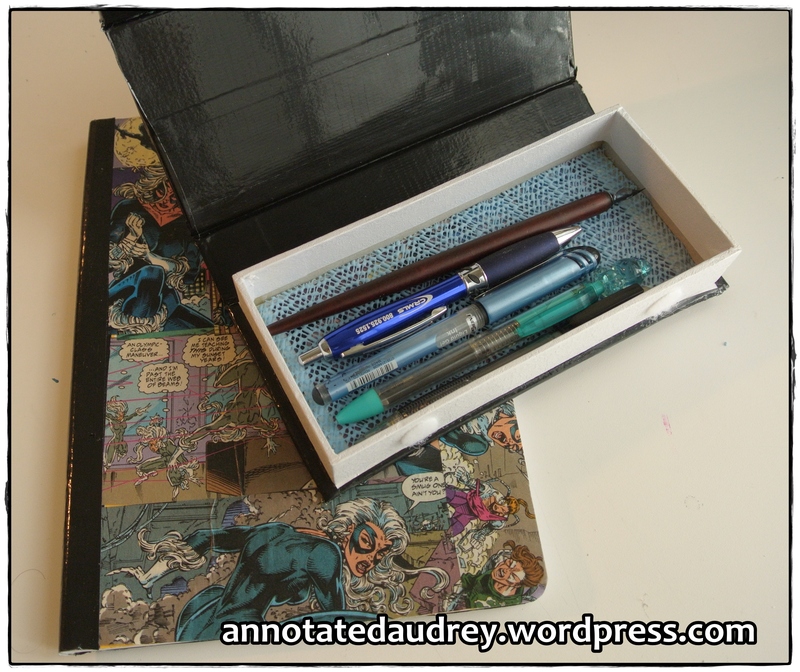 UPDATE: Here are some of my more recent comic book craft projects. As always, thanks so much for taking the time to read this post. Very clever; I love your creativity. Super! I like comics style and pop art. Awesome! I too love those things. Very creative and unique! Merci, too, for visiting my blog. I love this. Good to meet you, Audrey! Wonderful craft, Audrey. Would you be interested in doing a similar craft for my blog? I love the name Mod Podge. What exactly is it? Mod Podge is a magical product! It is basically a thin liquid adhesive. Like watered down Elmer’s glue. OK. Er, now I have to ask, what is Elmer’s glue? Ah, two countries divided by a common language again! Thank you so much, Teagan. You should definitely try this project… the end result is totally rad. 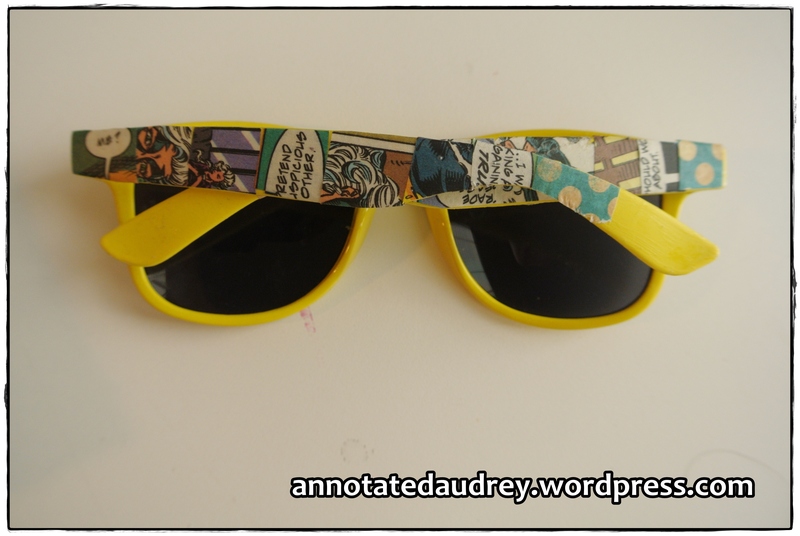 great work – oddly enough – it was the sunglasses that got me! I see you have started following me – so if you would like to contribute to the “Gallery of Your Work” – drop me a line!